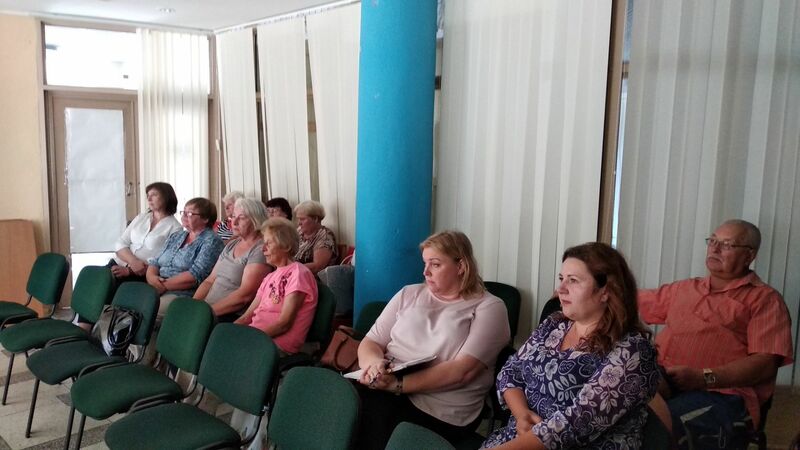 On July 24 this year there was a free training at the Multifunctional Culture Center in Niemenczyn (12 Švenčionių street, Nemenčinė, Vilnius region), conducted by the European Foundation for Human Rights (EFHR). The topics of the training were: hate speech, the spelling of names and surnames, and denial of discrimination. The training was conducted by an EFHR lawyer, Leszek Jankowski, together with a trainee, Milena Kloczkowska. The meeting started with a greeting and telling guests about the Foundation’s activities and objectives – it is a non-governmental organization that reacts to abuse and violations of human rights and minority rights in Lithuania, provides free legal assistance to discriminated people and analyzes spelling issues of names and surnames in official documents. The lawyer thoroughly presented to the guests the issue of discrimination and its manifestations, not only in Lithuania but also in Poland. All aspects of discrimination and above all discrimination of national minorities and examples from everyday life were thoroughly discussed. The representative also informed what negative legal effects may be discriminatory. In addition, he focused on the spelling of names and surnames. The main topic of the training was primarily hate speech. This issue has been thoroughly discussed, explaining the boundaries between freedom of speech and hate speech. In addition, EFHR representatives talked about how this concept is defined in Europe, and also told how not only Lithuania, but also Poland is trying to deal with this problem. A Polish advertising spot was presented, aimed at making participants aware of the negative effects of hate speech. After presenting the issues, participants could ask questions and get free legal assistance. EFHR would like to thank all participants of this training and hope that the training will result in broadening the participants’ useful knowledge, which will be useful for them in the future. EFHR organizes numerous training cycles, during which experts from relevant fields discuss different legal issues, share their experiences and research results with trainees. All interested in free training conducted by EFHR in the workplace or in an educational facility are welcome to contact via e-mail (szkolenia@efhr.eu) or by telephone (+370 691 50 822). More information about the trainings conducted so far can be found on the EFHR website.